History seemed to pursue Vladimir Nabokov. In the Russian Revolution and the Second World War he lost his homeland, social position and family, and was even forced to abandon working in his native language. 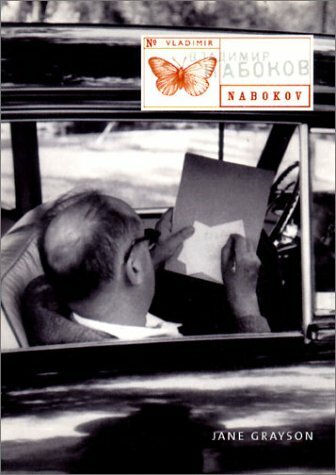 Despite the shadow of exile, Nabokov's work exudes a tremendous vivacity and joy. Even at its darkest it has an inventiveness and a richness of perception that has rarely been surpassed. The photographs and illustrations in this volume, many previously unpublished, range from early photographs of the Nabokovs' estates in Russia to hand-corrected manuscript pages, first edition book jackets, and examples of Nabokov's lifelong passion for butterflies. Acclaimed scholar Jane Grayson provides fresh insight into the celebrated author's life, making this volume a unique glimpse into the life of the modernist master. Jane Grayson is a Lecturer at the School of Slavonic and East European Studies, University of London, and a leading specialist on Nabokov. Her most recent publication is Nabokov's World, a book of essays, which she co-edited.